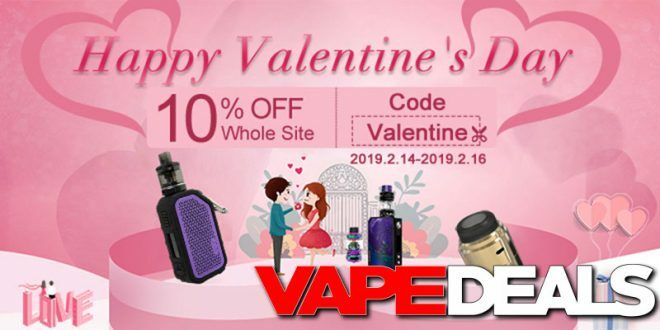 Vapesourcing just announced the details of their Valentine’s Day sale. For a limited time… use the coupon code “Valentine” at checkout. When you do… you’ll save 10% off your entire purchase. It looks like you can’t use the coupon code on sale products. With that said… the sale just went live and it expires on the 16th. So, don’t wait too long to get your orders into Vapesourcing.